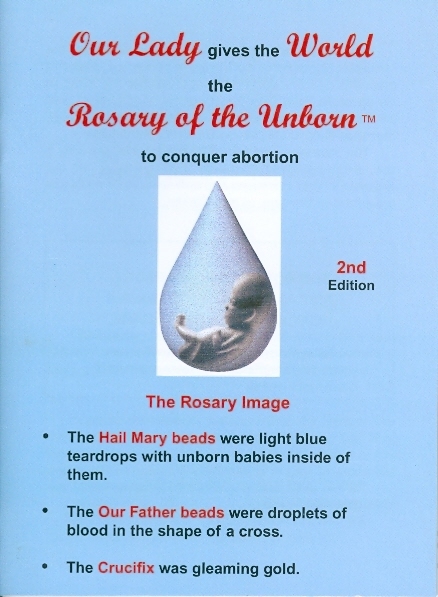 "Our Lady Gives the World the Rosary of the Unborn to Conquer Abortion” Booklet (ENGLISH). 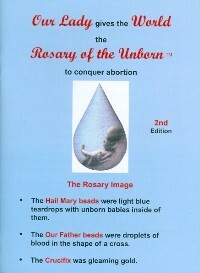 Contains sections on how to say the rosary and pro-life meditations. Softcover booklet, 4-color cover, 37 pages.